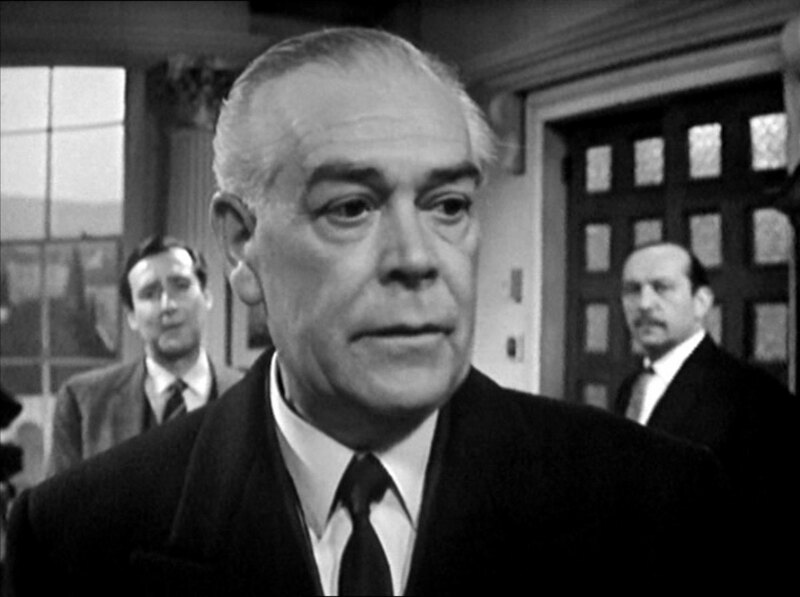 Julian Seabrook (Philip Madoc) presents a shipyard takeover to the board of a shipbuilding consortium. He departs and Sir Charles Reniston says that only leaves one item of unfinished business, what to do about Herbert Collier. George Stanley (Campbell Singer) says he won't come to heel and has committed his yard, so Oliver Waldner (Guy Doleman) says there's no other option - he has to be killed. The next morning, the Glasgow Times reports the shipbuilder's death and Waldner's butler Thomas (Ian Cunningham) announces that the dead man's son, Brian (Edward de Souza), is awaiting him in the study. Waldner enters and tells Collier that he is always welcome - especially to his daughter, Rosalind. He asks if they can discuss business later then leaves to let Brian speak privately to Rosalind. The riders come back from the Hunt, including Sir Charles and Lady Reniston (Freda Bamford), Stanley, Rosalind (Sylvia Bidmead) and Cathy, who has impressed them all with her seat. Ros goes to see Brian while Cathy thanks Oliver for inviting her and Miss Francis (Gillian Barclay) gives Stanley - who's not a rider and is quite saddle-sore - a wink and fetches some hot coffee for him. Oliver tells Cathy he has a meet every weekend to fill the void left by his wife's death; Cathy commiserates then observes that Sir Charles mentioned his opposition to French participation in the building of a nuclear-powered liner. Oliver shrugs, "I don't see that we need any outside help from anyone". The butler interrupts - Mr Seabrook wishes to speak to him - giving Stanley the chance to pounce on Cathy. Lady Reniston wonders if Stanley will take the plunge this time, Charles commenting that Cathy was at school with Ros. 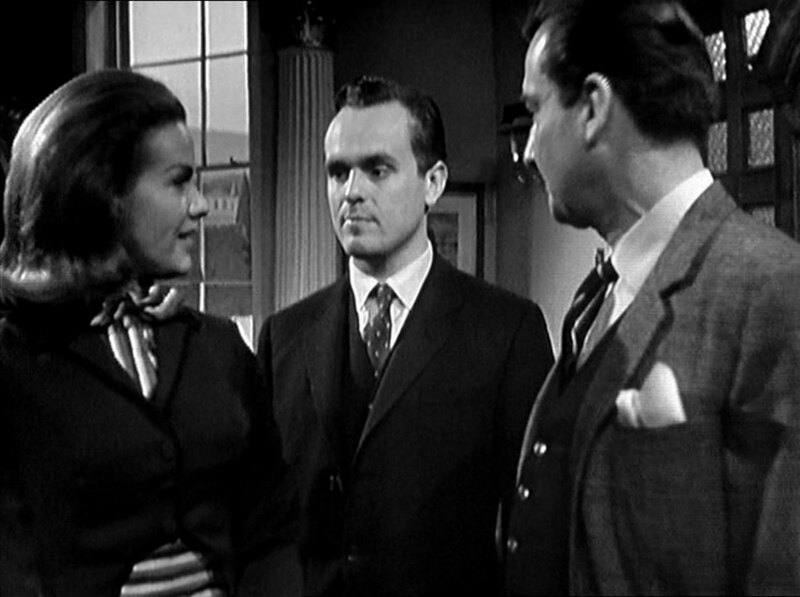 Miss Francis returns and is furious to see Stanley talking to another woman and angrily leads him away. Waldner returns and introduces Seabrook to Cathy, but he's suspicious of her. Ros rushes back downstairs and tells Cathy about Collier's death - she was dumbstruck and Brian simply walked out after telling her. Cathy looks concerned when Ros says the police are investigating the death. Meanwhile the board convene in the study, Stanley wryly saying, "he's saved us the trouble". Seabrook tells them proposals for Collier's yard are ready. Reniston reads the paper and declares they've gone too far; after all, Collier might have been right. Waldner is angry and tells him to make his position clear - for or against them. Sir Charles is appalled, saying the thought is one thing, but actual murder another; he doesn't doubt their position but will not support crime. Stanley says it was an accident but he doesn't believe him, adding that French know-how and patents could have taken months off the build time when Waldner suggests the country would be swamped with French industry. They're all startled when Brian enters from the garden. Sir Charles is sympathetic but Brian firmly says they'll have to deal with him now. Bert Barnes (Frank Siemen), the shop steward is looking for Brian at the yard and a draughtsman, Ralph (Stephen Hancock), tells him he's showing a Board of Trade party about the yard. Bert tells him strike action has been averted and to let Brian know he wants to see him. Moments later, Brian comes in with Steed. He greets Ralph then shows Steed some of the plans. Steed off-handedly asks if Brian's father was alone in the car, raising Brian's suspicions, but he allays them by saying he's doing routine liaison between Glasgow and Le Havre. Steed bemoans the red tape involved with large international projects and asks if his father came up against a lot of opposition; Brian tells him the Reniston Group was determined to keep the French out and build it themselves, but he sees no reason to change his father's policies. Waldner and Cathy dress to go out for the evening; he looks at her dress and says she'll knock them dead at the Savoy, and announces they're flying to London for the night. Ros won't join them as she's gone to bed early, depressed about Brian's bereavement. He sighs that there aren't enough young people around for Ros then asks Cathy if she likes it. When she affirms she does, he asks her if she'd like to stay indefinitely - on her terms. Stanley phones Waldner from the office and tells him to get round to Collier's yard straight away and talk sense into Brian, who is going ahead with the French project, adding that Charles is already there. Waldner is annoyed but apologises to Cathy, saying they'll have to stop at one of the yards on the way. Stanley then summons Seabrook to the boardroom, telling him when he arrives he has a few reservations about the proposals. Seabrook is exasperated and Stanley tells him to lighten up a bit; he doesn't like Seabrook's methods, at which Julian says he's not there to pander to the wishes of the directors but to do his job. He demands to know why Stanley is holding up his pay rise and is told he can have it, but Stanley queries whether he's bipartisan on the proposals. At Collier's yard, Brian tells them the Americans are already building a similar vessel and if they're to beat them they have to get a move on. He ignores the cajoling of the triumvirate and Stanley's Francophobic rants - Waldner and Stanley leave angrily, leaving Charles to apologise that it's hard to change the habits of a lifetime, but he's sure they can build the ship themselves. Brian shakes his head sadly and Charles bids him goodnight. Brian goes to his office where Seabrook awaits him and asks if he's considered the offer. Julian asks for more time to decide and Brain says his time is limited, he leaves and passes Cathy who is looking for Oliver, she enters the office and Brian greets her and then tells her that Oliver is in love with her, then he warns her off him. She tells him to let her worry about that and he leads her outside. She screams when a block and tackle crash down upon him. 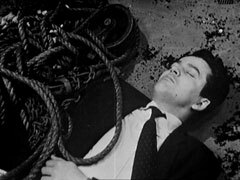 Barnes tends to the injured Brian, thinking his arm broken, when Cathy returns with Oliver, who says he's called the doctor. Cathy asks if it were deliberate and Brian astutely observes he doesn't think it was meant for Cathy, it was meant to kill him. Seabrook calls Waldner the next morning from Barnes' office, telling him the shop stewards have decided there'll be a strike at the yard starting the next day because of unsafe working conditions. Cathy overhears the conversation and she confronts him with it being in his interest but he lies he would never use Brian's 'bad luck' to further a strike. Meanwhile, in the boardroom, Sir Charles refuses to believe it's a coincidence and declares that Waldner's up to something. Stanley tells him they'll never make the country a great seafaring nation again with their piecemeal purchasing of small yards - they need to take risks to achieve their goal. Cathy is annoyed that evening when Steed climbs in her window. He tells her it was no accident the night before and wonders if they were using on stone to kill two birds - the chain holding the block had been tampered with. He warns her Waldner may be up to his neck in it and asks what she's found out. She says nothing and he tells her in return that Collier's car crash was no accident. Oliver has an alibi - Cathy, Sir Charles is sitting on the fence, but Stanley is deeply involved financially. Steed departs, saying it'll all come out in the wash and Cathy sneaks downstairs but Waldner has heard Steed leaving and is prowling around with a shotgun and she's unable to search the study. Steed visits the Reniston Group and plants a tape recorder under the boardroom table. He passes the receptionist (Ilona Rodgers) on the way out and asks her to tell Sir Charles he called - without giving her his name! Brian meanwhile catches up with Rosalind in the saddle room and asks her if he'll still be welcome, no matter what passes between her father and himself and she assures him he will, and they kiss. Back at the boardroom, Sir Charles is nervous at Waldner's absence, and even more nervous at Seabrook's presence. Waldner finally arrives with Brian and the board meeting commences with Seabrook announcing the Reniston Group holds 45% of Collier's shares, the outstanding 6% to be transferred from Sir Charles' private holding, which count towards the group's capital. Charles and Brian are shocked and Charles refuses to release his shares, but Seabrook reminds him he's contractually bound to. Brian storms out, declaring that Waldner hasn't won yet. Steed hops into Cathy's car outside and asks her to retrieve his tape recorder and she's shown into the boardroom by Waldner, just as the receptionist departs. Seabrook tells Oliver that Charles acquired the outstanding 6% in Brian's name and Oliver goes to discuss this new turn with Stanley while Seabrook reveals his suspicion of Cathy's sudden reacquaintance with the Waldner. She icily tells him coincidences do happen and when he departs she take the recorder and leaves, the receptionist phoning Seabrook when she does. She's attacked by a thug when she arrives at Collier's yard but she fights him off and then finds Brian unconscious in his office. She revives him and plays him the tape recording - Waldner telling someone Brian is alone in his office and he wants the job done properly this time. Back at the Reniston Group boardroom, Seabrook is announcing his resignation in favour of a post at Collier's yard. After he goes, Stanley tells Waldner that Tyneside backs them and Belfast will follow - Waldner wonders if Collier will go to the police. Charles arrives and announces he's severing ties with the group. They chide him for changing his mind again and his past actions and, despite Stanley's empassioned speech about launching a ship in the Clyde, Charles leaves declaring he knows what he's done and what to do. Cathy meanwhile catches up with Ros and learns she'd marry Brian even if he were broke, despite her father's opposition; Cathy reveals in turn that she's not sure about Oliver anymore. She goes upstairs and finds Charles searching Oliver's desk. He warns her to leave the house while there's still time; she asks why and he tells her she doesn't really know Oliver - he plays on peoples' weaknesses and Charles' greed has landed him in trouble but refuses to say more. At the yard, Seabrook gets Barnes to spread his engineered strike to all yards run by the Reniston Group while Waldner discovers Cathy trying to open his safe and tells her the combination then to help herself. Seabrook tells Brian that Waldner and Stanley are back to 45%, and the shares have fallen to 29/2 but Brian declares that if they fall below £1 he won't be able to hold out any longer. 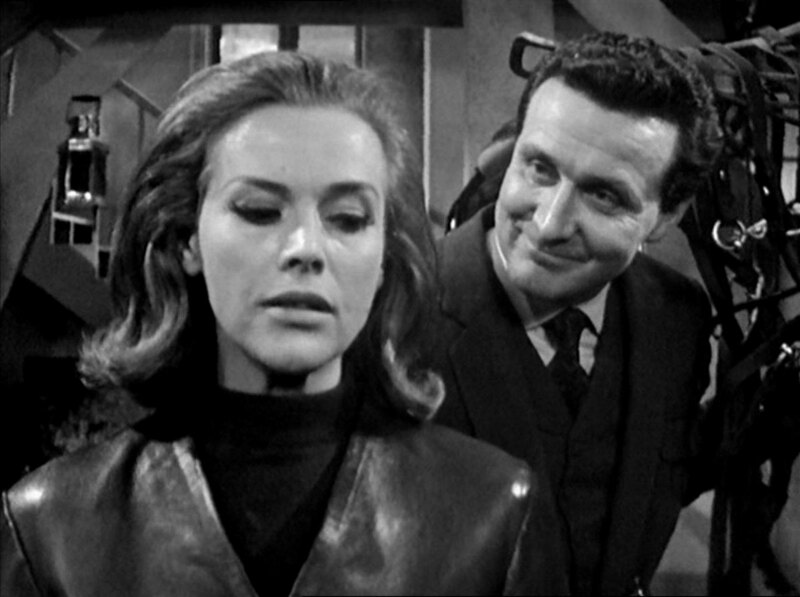 Steed arrives at the yard and asks Barnes the reason for the strike and who investigated it, then is shown in to see Collier. He approaches Seabrook and asks him point-blank if he's decided when the strike will end. Back at the house, Waldner tells Cathy that he and Stanley pooled their resources five years ago to buy a small yard on Tyneside, enabling them to build an oil tanker that would have been built in Germany otherwise. They bought more yards, devaluing them by staging lightning strikes. Cathy notes that as the stakes got bigger their methods became more ruthless, and Collier was murdered. 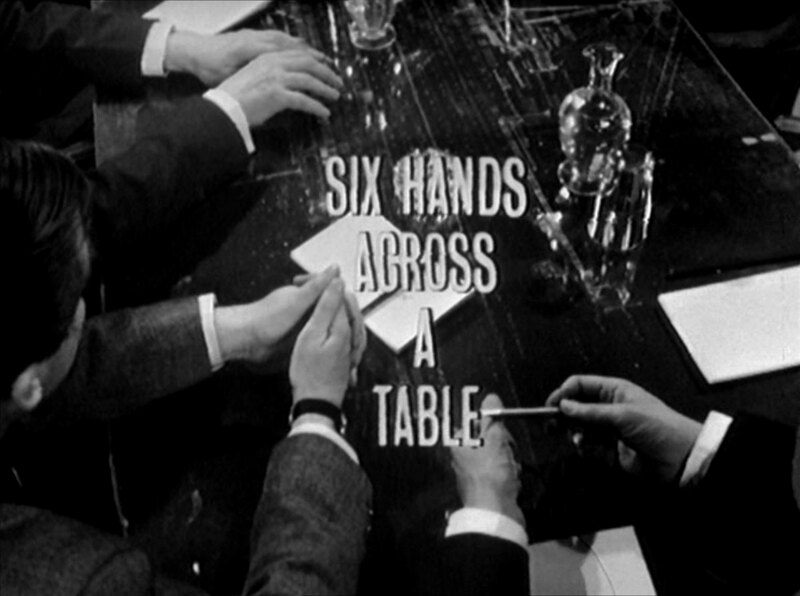 Back at the yard, Barnes arranges a union meeting to end the strike while Seabrook tells Steed that Sir Charles is visiting Waldner that morning. Reniston arrives at the house and Waldner sees him alone after telling Thomas not to let anyone leave the estate. Meanwhile Cathy claims she's phoned the police about Collier's murder. Stanley's aghast and goes in search of Oliver, breaking in just as he pulls a pistol on Charles. He tells him not to be a fool but Waldner says he'll get away with it. 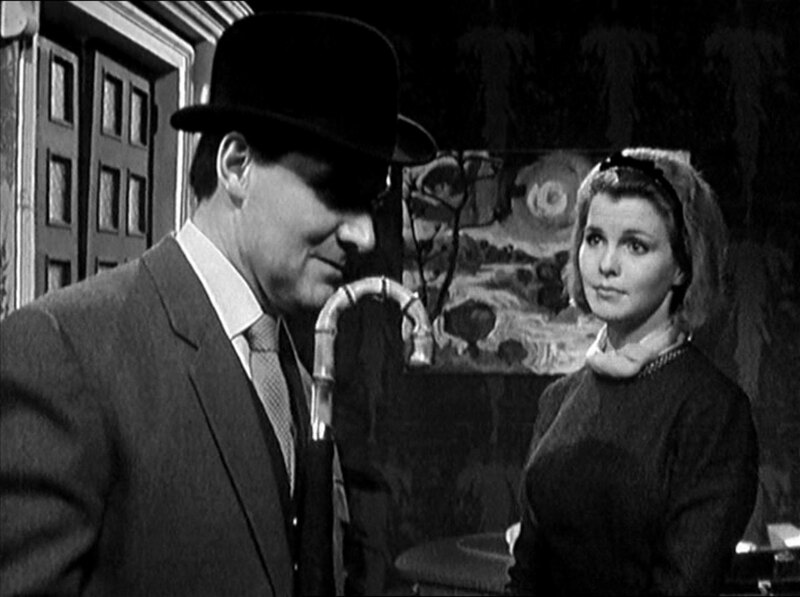 "I'm afraid not", says Steed, appearing on the staircase with Seabrook, and Cathy kicks away Oliver's gun. Steed tells them accessory to murder is an indictable offence and when Stanley claims it was an accident he's informed the steering column was sawn halfway through. Steed tells the villains that Seabrook and Collier have bought them out - "while we sat around with our heads in the clouds beating a patriotic drum", grumbles Stanley, and they're led away to the awaiting police, Steed telling Charles the inspector would like to take a statement. Steed guardedly tells Cathy he was a powerful man and it's a pity they resorted to murder; he then breaks the tension of her distress by asking if she'd mind giving him a lift, there doesn't seem to be a horse in sight!